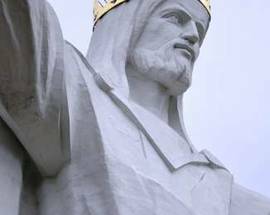 In November 2010, the people of Świebodzin - a relatively small town about 110km west of Poznań - welcomed a new resident: a giant statue of Jesus Christ, dubbed “Christ the King.” What makes another statue of Christ notable? 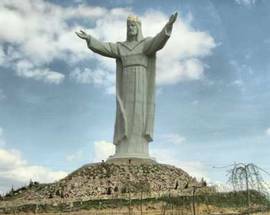 Well, weighing 400 tonnes and standing 33 metres tall, the new Polish Christ is purported to be the largest statue of Jesus in the world, though the claim has incited debate amongst other imposing Jesuses. 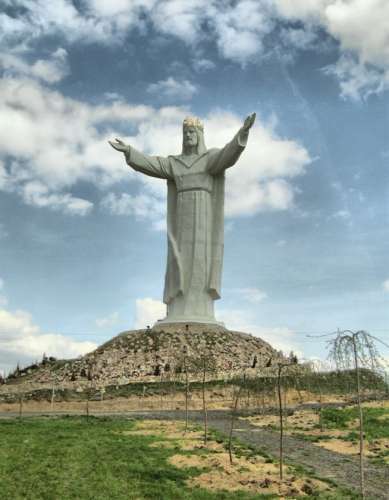 Świebodzin’s Christ himself is technically shorter than Rio’s famed Christ the Redeemer statue (30m tall), but factor in his crown (3 metres) and the mound he stands on (another 16 metres) and he easily dwarfs Rio’s Redeemer. 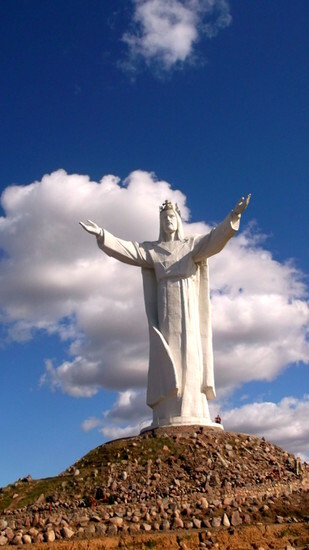 Of course, the folks in Cochamba, Bolivia might have something to say about that – their Cristo de la Concordia is over 40 metres tall, which easily tops both statues if the mound isn’t a factor. 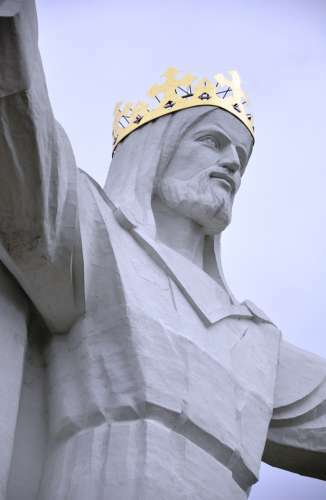 Though such silly debates only go to show the vanity of such projects, it’s still a fairly impressive accomplishment for a town such as Świebodzin, which - like their enormous Jesus with the golden crown - is evidently welcoming tourists and pilgrims with outstretched arms. If yes, the best way to get to Świebodzin is by train, with five direct trains leaving Poznań’s main station a day. A EuroCity train takes 50 minutes and costs 78zł for a 2nd class ticket, or save money by riding the "Osobowy" train, which costs 26.20zł but takes 90mins. From the train station it is roughly 1km/15min walk to the monument. 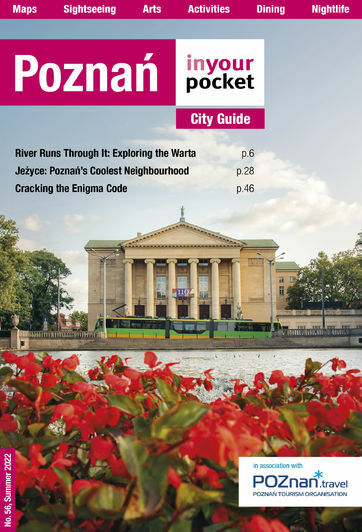 Poznań tour companies can also arrange the trip for you. 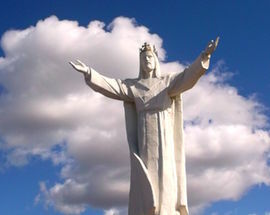 Christ the King can also be clearly seen by anyone driving on the north-south E65/S3 highway between Zielona Góra and Gorzów Wielkopolska, but the shepherd has his back turned to motorway.